I'm going to miss the old galloot. 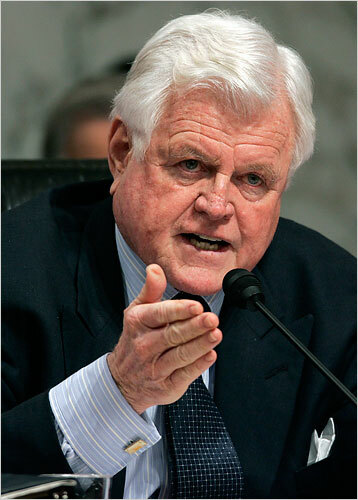 I'm enjoying the NYT obit, which describes Ted Kennedy as flawed, but gifted. A friend of mine was a staffer for him in the 1980s. He said that he was brilliant before 11am. After that, he was loaded. He was a complicated person. While his personal life was a mess, he had excellent political instincts and experience in DC. He cared about the issues that I care about — healthcare, education, housing. I'll always admire the Kennedy clan for their commitment to children with special needs. I miss Kelly’s voice, even though I disagreed with him most of the time. Unlike Krauthammer, he had a sense of humor.